Here’s a very brief comparison/contrast of Balaam versus Jonah. You let me know what you decide, because frankly, I don’t know what to think about these two guys, except for a couple of observations I’ll make after my list. Balaam: Summoned by kings with promises of reward. Jonah: Summoned by God with no promise of any kind. Jonah: Sent to hereditary enemies of his people, very nasty folks who should be dead. Balaam: Told to curse the people so bad things would happen to them. Jonah: Told to warn the people so that bad things might not happen to them. Balaam: Smacked his donkey around and failed to see the Angel of God standing ready to kill him until the donkey talked to him. Jonah: Seems to have wandered about bleached, bloated, and in rags, shouting his warning, and got the Ninevites to repent. 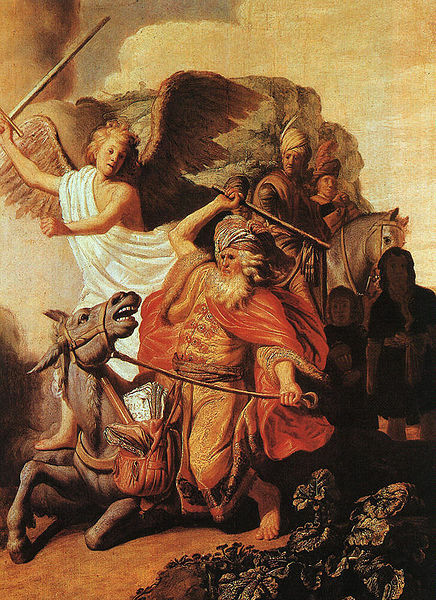 Balaam: Whispered in Balak’s ear that he could use hot women and cool idols to get Israel in big, big trouble. Jonah: Sat on a hill in a stick booth under a gourd vine (till it shriveled up and blew away), apparently still hoping the Ninevites might get blasted into nothingness. Jonah: Got a lecture on loving his enemies and went on to bigger and better prophesies. Here’s what I did conclude that sort of tips the scales in Jonah’s favor. The sailors Jonah tried to get killed by running all got “saved”! (They sacrificed to the Lord and made vows.) That seems as if it would not have happened if Jonah had done the right thing in the first place. 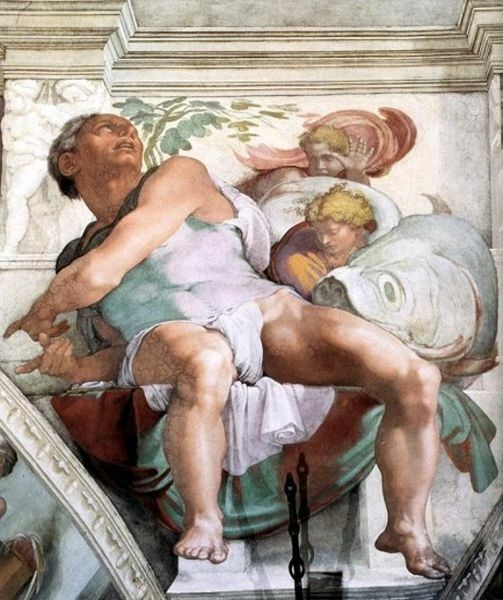 Jonah pretty clearly repented inside the fish, though he did have a backsliding incident up on the hill. (The part where he still wished those people would be dead!) God never really tried to reason with Balaam, but he did have patience and compassion with Jonah. I am more confused than ever about Balaam, but I kinda think I can identify with Jonah, and hope for mercy and grace like he got in spite of my stubbornness. Both these men had a gift from God, and it all came down to how they used it. Here are a few verses I found that might help you make up your mind in the Balaam vs Jonah controversy.